Rooster Teeth is a monster, a gaming powerhouse of epic proportions. If you’re a gamer and don’t know what Rooster Teeth is, you’re seriously doing something wrong. Rooster Teeth does everything. Researching for this article uncovered at least 20 different things that I had no idea they were doing. And new things pop up all the time. At the end of June they unveiled a new channel specifically for their Achievement Hunter division. Two weeks later it has 468 thousand subscribers with only 5 uploaded videos. That’s insane. They also have way too many projects and channels going on at the moment. And after trying to fit all of it into one article (I’m talking over 7 pages), I’ve decided to split my Rooster Teeth coverage into 4 posts: introduction, YouTube, projects, and future. This is their introduction. Michael “Burnie” Burns (great name amirite?) 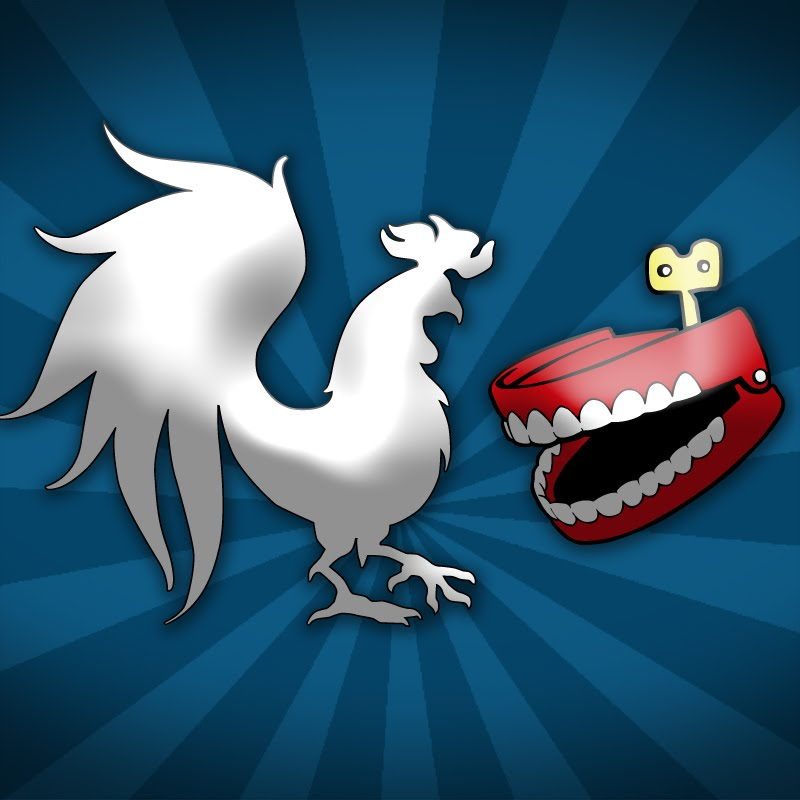 founded Rooster Teeth on April 1st 2003 alongside Matt Hullum, Geoff Ramsey, Gus Sorola, and Joel Heyman. That’s 2 years before YouTube. They’re OG in the world of YT content. But back then, they weren’t Rooster Teeth as we know and love it now. They’d been friends since the mid 90s and the creators of Drunkgamers (their first official company) since 2000. Since then they’ve grown exponentially and basically taken over the gaming community. And I’m not talking just on YouTube, THE entire gaming community. Twelve years later Rooster Teeth has come a long way from Drunkgamers. They’ve produced the highest successful funded film project on Indiegogo, the longest running web series in history, and hosted an annual gaming and internet convention since 2011. Currently, they have over 80 employees, which is ridiculous for any YT company that’s not a MCN. The one thing that’s stayed constant? An HQ in Austin, TX. Just, not in Burnie’s spare bedroom where it started. They’re in a different spot now. 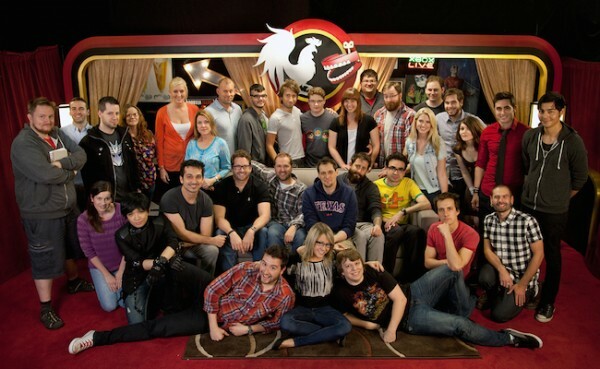 In 2014 Rooster Teeth moved into a new, much larger studio where the company can now work on their many projects in a single location. A lot of their staff work both on the BTS side of the company as well as on camera. Barbara, for example, works as the company’s community manager, a voice actor for 3 RT series, and frequently appears in videos across their many channels. These roles their employees play really distinguishes them from other gaming companies. Each of them has a distinct personality that viewers strongly identify with. Comparing the success of RT to other similar companies, their staff makes all the difference. For example, anyone can make a Let’s Play channel and many have but the reason AH’s are so popular is because of the employees doing it. It reflects the systematic process of success you can see in YTer after YTer. If you have a likable or interesting personality, viewers will continue watching and, most importantly, will want to continue watching. Currently they run 9 channels that I can count and several other unofficial accounts used for community content, test concepts, and a lot of other “stuff”. Their YT presence is crazy large and diverse. Dor a person who’s only regularly monitored just one of their accounts for 2 years, trying to fully understand grasp their entire YouTube existence is a bit of a doozy. Rooster Teeth (8M) is their flagship channel, their home base. From there it has 4 divisions: Achievement Hunter (421K), Funhaus (654K), The Know (621K), and Game Kids (81K). Each of these caters to some specific part of their video games, tech, movies, and tv focused world. And each of those divisions then has a couple other channels (it’s like the tree of life) that- again- produce content on one specific thing. Some might be news oriented, some monitored by the RT community, and some just feature fails of the week. Really. In addition to their YouTube empire and since they’re officially a productions company (Rooster Teeth Productions) they also make projects outside of the daily YT sphere. Their main four are: the Red vs. Blue web series, the RWBY cartoon, the annual RTX convention in Austin, TX, and most recently a movie titled Lazer Team. And, yeah, these are also crazy successful. Last November, Fullscreen acquired Rooster Teeth for an undisclosed amount of money. This venture will add the much needed male demographic to the company as most MCNs skew strongly towards females. Rooster Teeth will maintain its headquarters in Austin, but has expanded to Los Angeles with their channel Funhaus. This move may in part be due to fullscreen’s headquarters in LA. It’ll be interesting to see how Rooster Teeth and Fullscreen work together as time goes on. While their partnership is new, both companies are expanded past the YouTube platform and into movies, TV shows, and music. Rooster Teeth is known for their voice in an industry that is hard to please, so as long as they maintain that style, I’m sure they’ll go far.